What does It Mean When my Hard Drive is Clicking? Hard disk drive with case removed to show the platters and the read-write head. 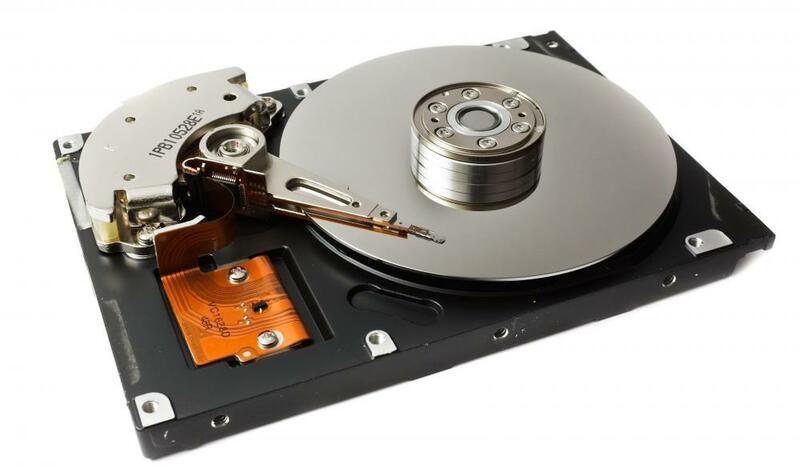 Solid-state hard drives, which have no moving parts, start and operate more quickly than traditional computer hard drives. Hard drives typically make clicking noises in the course of working properly, with some models being noisier than others. If the hard drive is clicking louder than normal, this could be due to an issue that can be addressed. If it is clicking unusually loud and rhythmically, and it is not accessible, it could be the so-called "click of death." Whenever a hard drive sounds louder than usual, the first concern is mechanical failure and loss of data. Assuming the drive is still functioning, backing up data before troubleshooting is wise, just in case failure is imminent. 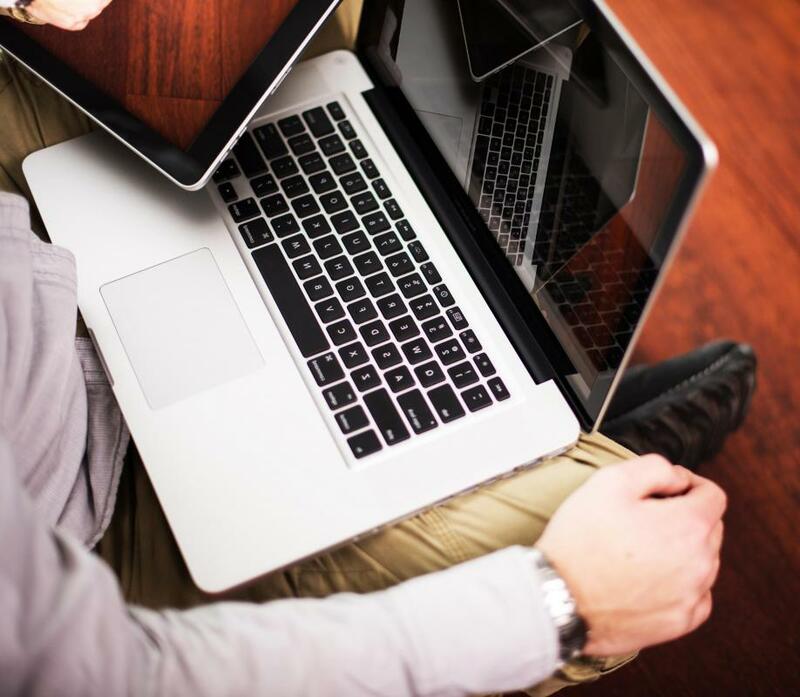 If the data is extremely valuable, another option is to immediately power down the drive and take it to a professional data recovery service, giving them the best chance possible to save the data. Beginning with more benign reasons for clicking noises, a drive that is forced to work particularly hard will tend to make more noise. Data intensive tasks such as gaming, advanced fragmentation of files, or having little available space left on the drive can all result in excessive noise. Defragmentation and freeing up space might quiet the drive in these cases. If the power supplied to the drive is unstable, insufficient or excessive, this can also cause increased clicking noises. Cables should be tight, and the power, clean. Swapping the power supply, if possible, or placing the drive in an external enclosure can help to eliminate this possibility. If the hard drive is clicking in an external enclosure that is powered by the USB port, be sure the cable is secure. Most modern external enclosures lack a fan, relying on alloys to draw heat away from the drive. If the ambient temperature is quite warm or if airflow around the enclosure is restricted, a drive might get too hot, resulting in increased noise and performance errors. If a hard drive is making noise due to overheating, a fan directed towards the enclosure might cool the drive and return it to normal operation, assuming no permanent damage has occurred. If the hard drive is clicking but otherwise appears healthy, it is possible that a firmware upgrade from the manufacturer might fix the problem. Running backup prior to upgrading — also called "flashing" — is critical, as a bad flash can result in a dead drive. A bad flash can occur if instructions are not followed exactly, or if a power surge or dropout occurs during the brief flashing process. In the worst case scenario when a hard drive is clicking, it is also giving read and write errors, or is not accessible at all. This is sometimes called the click of death or the crash of death. This occurs when the actuator arm passes repeatedly over the spinning platter, slapping against the physical stop at the edge of the plate. Sometimes powering down the drive for a few moments and then re-starting it will get it working temporarily. The click of death can be caused by a number of different mechanical issues. One possible cause is a faulty system board; a replacement board can be purchased online along with a proper tool for removing the screws which hold the board in place. The system board is accessible without opening the drive case, which would contaminate the platter and make the drive useless. There is no guarantee that replacing the system board will work, however, as the problem might lie elsewhere, such as with a damaged head or platter. When a hard drive is clicking — and after backup has been run — the drive should be checked for errors. Crossed clusters or other problems can cause read and write problems and lost or corrupted data. Windows® incorporates the Checkdisk utility, while Mac™ has Disk Utility. There are also other tools available to check the health of a disk, depending on the operating system and the disk manufacturer, which might make tools available for specific drives. When a hard drive is clicking, it is best to use it as little as possible until the problem is resolved, reserving it for the purposes of backing up its data and diagnosing any potential problems. Research, downloading, and other peripheral tasks are ideally carried out on a different machine, device, or from a bootable thumb or CD drive that operates solely in random access memory. If a drive becomes excessively noisy for no apparent reason, or if it has other health issues, it is safest to replace it. What Is the Death Drive? What is a MO Drive? The last time the hard drive on my PC made a clicking sound, it was simply because it was overheating. I added an additional fan in the area to keep it at a cooler temperature, which helped greatly. Most serious computer users will tell you, though, that no matter the condition of your hard drive, it's important to install a back up program. This software regularly backs up your files, either to the cloud or to an external hard drive, so if you have a sudden internal hard drive failure you don't lose all your files in one fell swoop. My job depends on my PC working properly, so there's nothing that stresses me out quite like that awful click of death sound -- I take precautions to avoid it at all costs.